Innsbruck is a wonderful city adored by locals and tourists who come from around the world and an important place for winter sports enthusiasts. It hosted the Winter Olympics for two years, owning five ski runs at Olympic standards. At about 40 km from Innsbruck is the Stubai glacier where you can ski all year round. 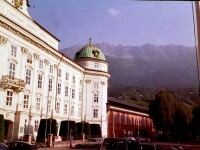 We present the main tourist attractions in Innsbruck. The most important symbols of the city include the Golden Roof, the Hofburg Imperial Palace, the Ambras Castle, the Bergisel Trampoline, the Swarovski Crystal Worlds, the Tyrolean Tram Museum, the Museum of Bells and the Innsbruck Casino. Located in the middle of the Old Market, the Golden Roof is the most important tourist attraction of Innsbruck and the most characteristic landmark of the city. 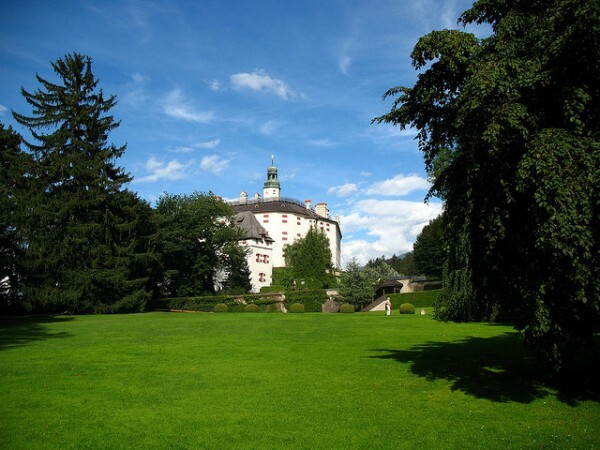 It was originally built as a residence of the Tyrolean sovereigns, a luxurious house from where they could watch the various events that took place in the central square. The Hofburg Imperial Palace in Innsbruck is one of the most important cultural buildings in Austria, along the Hofburg palace in Vienna and the Schönbrunn Castle. You can admire the Giants’ Hall, which is the most prestigious events hall in the Alps, decorated with paintings of the royal family of Maria Theresa. To take a look at the city of Innsbruck in all its glory, there is not a more appropriate place than the Bergisel Olympic trampoline. 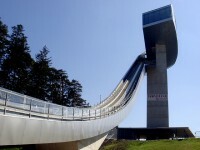 There takes place annually a stage of the famous ski jumping tournament “The 4 trampolines” and a summer grand prix. We recommend you to serve a meal or breakfast in the panoramic restaurant of the trampoline; the jumping tower platform offers the most beautiful view over Innsbruck and the Alps. We invite you to discover the most famous Swarovski Crystal museum of the world and the biggest Svarowski shop in the world. It is a unique, fascinating, magical and brilliant tour, especially the crystal dome room or the room of wonders. 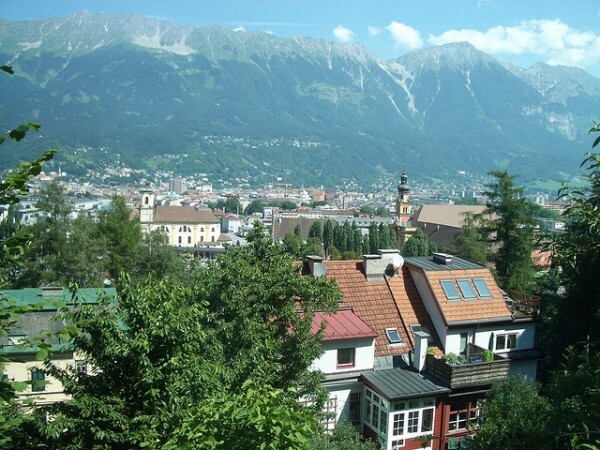 It is a tourist attraction of Innsbruck that you must see. The Ambras Castle, situated above the charming Innsbruck is one of the outstanding attractions of the city. It was built by Ferdinand II of Austria, and it is divided into the lower castle that is a museum housing his various collections of weapons, armor, books and the upper castle, which is a gallery of the Habsburgian personalities. We invite you to see the oldest and most historic trams in Tyrol. 14 of them are completely restored and put into operation, so it can be rented just for your group. 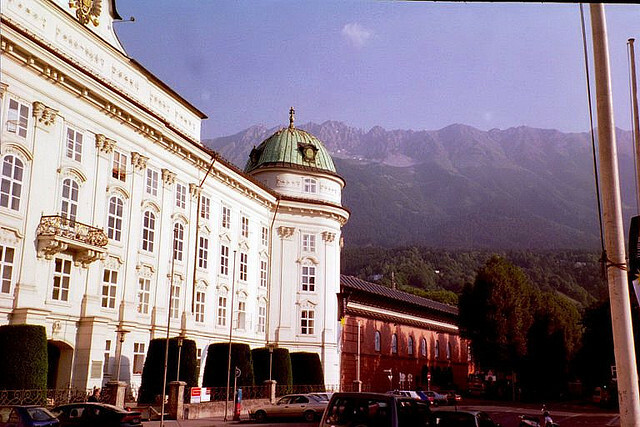 The Bell Museum is a unique tourist attraction in Innsbruck. You will discover the secrets of the making of various bells, for a period of over 14 generations and 400 years experience. 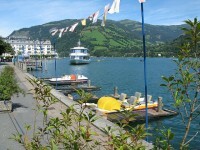 You can spend an exciting night full of at the Innsbruck Casino. You can choose between customized packages including dinner and drinks, roulette, blackjack, poker and many others.